summer a bird of prey – some say a hawk – nested in one of the Minster towers and feasted on my companions for many a year, the woodpigeons. Schoolchildren scavenge for the conkers that aren’t squashed by passing traffic. I hope the game with conkers swung at the end of a string isn’t banned. It’s simple fun. My American friends don’t know what conkers are. That seemed strange until I learnt that all their chestnut trees have been killed by disease. The sweet chestnut trees too? I hope not. 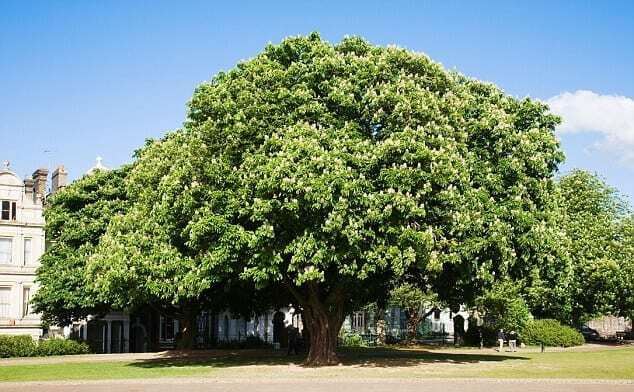 A spreading Horse Chestnut tree. Half-way up a Tuscan valley, above the olive line, I found woods of sweet chestnut and hazel trees. Italians are fond of castagnaccia made out of sweet chestnut flour and about the same consistency of polenta. They also have roast chestnuts from about now, and so do we. When everyone had open coal fires, it was fun in winter to roast them ourselves. They’d sometimes burst and fly out of the grate, to our delight and my parents’ fear of fire and holes in the carpet. 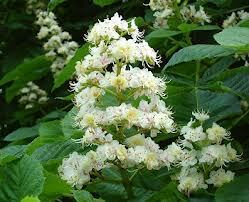 In southern England there are woods of sweet chestnut trees and plenty of hazel trees, but not in Yorkshire. Too far north. I wonder what Yorkshire people used in the past to ward off witches? Branches of hazel were believed to do it. When we visit friends near Lake Bracciano we drive through plantations of olive trees, such is the worldwide popularity of Nutella. I don’t like the texture of castagnaccia, Nutella or peanut butter. Terrible! But I know I’m in a tiny minority. Instead, I love roast chestnuts, chestnut stuffing and peanuts. they expire a little. Just like the elm trees at the end of the garden in Surrey where I lived as a child. They stood sentinels between us and cow pastures. Many years later I was looking at some trees in Italy. I didn’t recognise the dark, slightly rough green leaf. ‘What tree is this?’ I asked my Italian friend. ‘Un olmo.’ An elm! In my Italian garden! 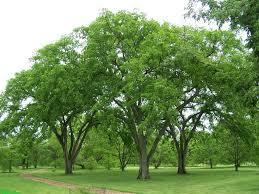 Elms were wiped out in Britain by the so-called ‘Dutch Elm disease’ which, thankfully, hasn’t reached Italy – yet. I hope there are plenty still of elm trees in America.